While using Serious Games as a teaching tool is becoming more common place, with even the President appointing Constance Steinkuehler as an adviser on game based learning, it is still difficult to measure the effectiveness of these instructional methods. Experts in the field of game assessment will shine a light on the issue of performance measurement and ROI in games and virtual worlds for education, health care, government/military Sims and corporate training at Serious Play Conference. Do Games Really Encourage Learning? 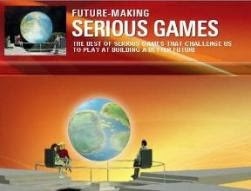 SEATTLE – July 24, 2012 -- Do non-entertainment games designed to teach really work? Experts in the field of game assessment will shine a light on performance measurement and ROI in games and virtual worlds for education, health care, government/military Sims and corporate training at Serious Play Conference, a leadership conference studying the future of Serious Games, Tuesday – Thursday, August 21 – 23 at DigiPen Institute of Technology, just outside Seattle in Redmond, Wash.
Constance Steinkuehler currently holds a position as a Senior Policy Analyst at the Office of Science and Technology Policy in the Executive Office of the President. For this position she advises on national policy decisions relating to the impact of video games and also how play relates to learning. For the duration of her position with OSTP, Steinkuehler is on leave from her position as an Assistant Professor in the Digital Media program in the Curriculum & Instruction department at the University of Wisconsin–Madison. Dr. Steinkuehler is a founding fellow of the Games+Learning+Society Initiative and chairs the annual Games, Learning & Society Conference held each summer in Madison, Wisconsin. 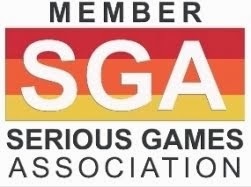 In 2009, she served on the National Academy of Sciences committee on games. She was also in a pilot TV show called Brain Trust. The show was piloted in 2008 and featured a team of thought leaders working collaboratively to solve seemingly unsolvable problems.